You do not need to spend a fortune on educational games. With a little creativity and a few minutes of preparation, you can create your own educational resources! 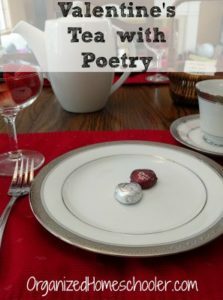 These super simple Valentine’s Day math activities use items you probably already have in your house. I love creating educational games from common, every day items. These resources tend to be easy to put together while also being inexpensive. These ideas work well in a classroom (co-op or school) setting and at home. 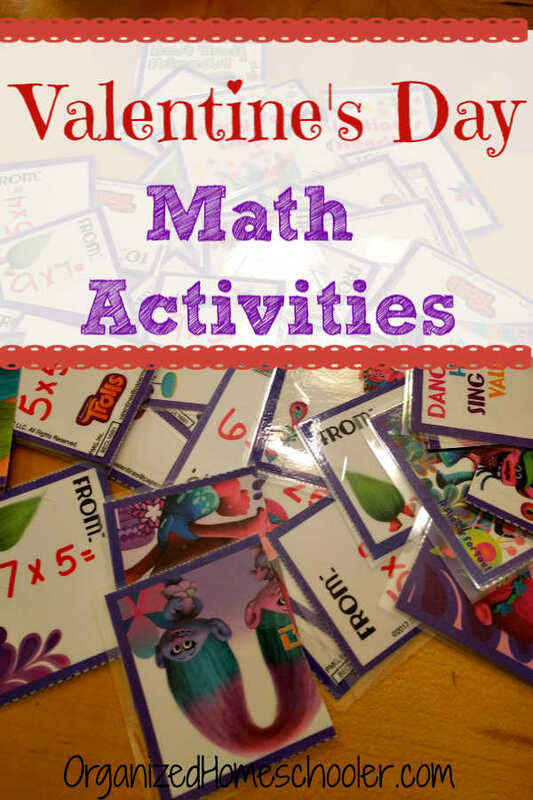 I have personally used these simple Valentine’s Day math games in both settings. They were easy enough for my kindergarten classroom, but were easy to make harder for my own children. It is really easy to prepare this Valentine’s Day math game. Buy a box of Valentine’s Day cards. Decide what you want to review. I chose multiplication facts for my kids. Write the math problem on the TO portion of the card and the answer on the FROM portion. Cut the To and From sections (questions and answers) apart. There is usually a natural fold here in the cardstock. Laminate the cards for extra durability. You want to make sure there is only one correct match for each card. For example, if you are reviewing multiplication, you would not want a 1×10 card and a 2×5 card. Those problems have the same answer and the Valentine’s Day cards might not line up correctly. Place all of the cards in front of the child, matching side up and Valentine’s Day picture side down. Match all of the problems with their answers. Put the question and answer cards right next to each other. Once all of the cards are matched up, flip them over to see the Valentine’s Day design. If the answer is correct, the two halves will create a complete Valentine’s Day card. When they are not correct, the picture will make no sense. If any of the cards are incorrect, flip those back over and try again. Continue until all of the cards are matched correctly. These Valentine’s Day math cards are a great activity to put in your Valentine’s Day boredom busting basket. 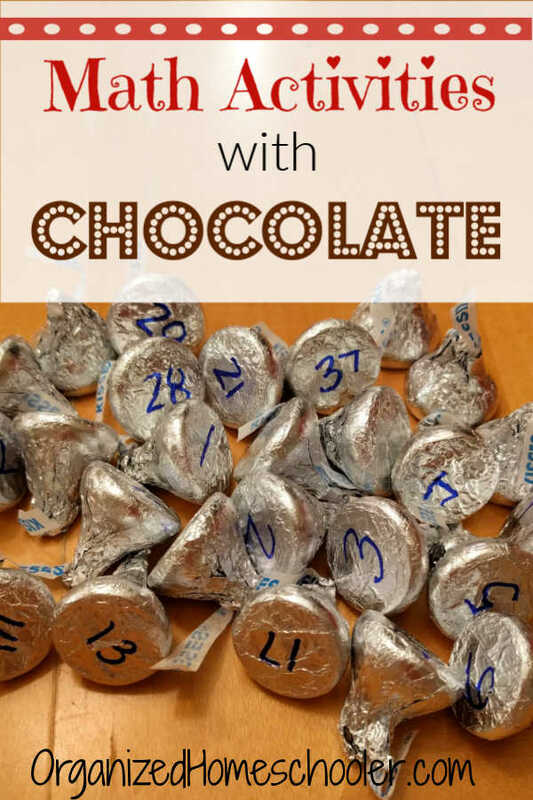 There are multiple educational ways to use Hershey Kisses with young children. Valentine’s Day features tons of chocolate so we might as well put it to good use. Place the candies on a hundreds chart. For example, the Hershey Kiss labeled with a 29 on the bottom will be placed in the 29 box of the hundreds chart. This is great for preschool and kindergarten students who may have difficulty counting to 100 on their own. Order the candies 1-100 without a chart. This is a hands-on-way to practice counting to 100 and recognizing numbers 1 to 100. Want to make it harder? Write fractions or decimals on the bottom of the Hershey Kisses – those always seem more challenging than whole numbers. By the way, these are also fun games to play on the 100th day of school. 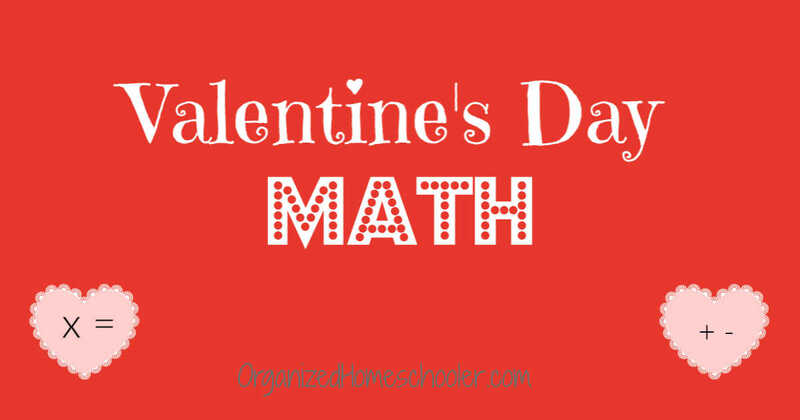 What Valentine’s Day math activities does your family enjoy?